Brighten up your focus board with these striped vocabulary cards. They fit great in a medium sized pocket chart. The cards can also be used in small group or centers. 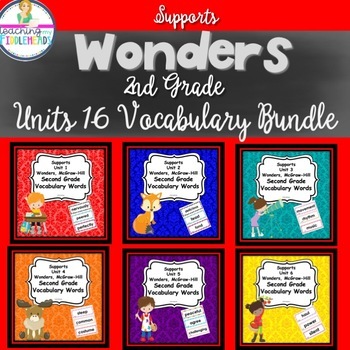 This set supports McGraw-Hill Wonders Units 1-6 second grade vocabulary words.